ACC tag for all charities that engage in activities related to Environment / Conservation / Heritage. These are the charities that say they have the general charitable mission India. Mission is mainly based on what charities report to the Charity Commission. You can use the drop-down menu on the right to sort the charities according to the order you would like to see them. 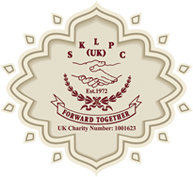 The charity aims to collect funds to help disabled and needy people. How do we rate charities?